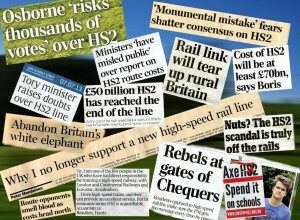 The Lib-Dems and political suicide, HS2 style. 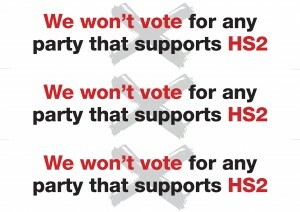 HS2-The Big Boys Told Me To Do It! 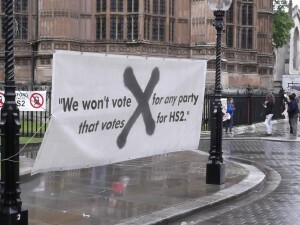 Campaigners forced to break law to continue HS2 fight in election run-up. 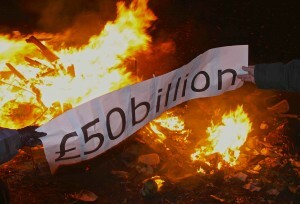 Leader of the Green Party, Natalie Bennett, is asked how to improve the northern economy. From Leaders Live (ITV), 26th November 2014. 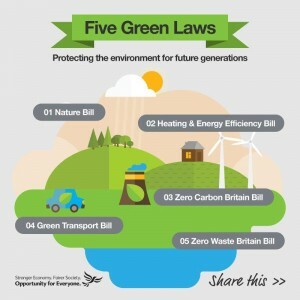 North West London residents face years of serious disruption – all for the government’s white elephant vanity project. 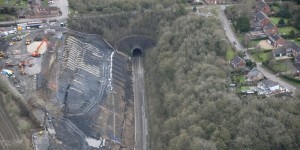 The local MP, Nick Hurd (Conservative) describes the organisation of HS2 Ltd as “incompetent and shambolic”. Tom Edwards reports from Ickenham for BBC London News, 25th November 2014.